Do You Know How to Spot an Oral Health Myth? Hello, dear reader, and welcome back to our blog! If you have been keeping up with our blog, you are already aware that we are going over a few of the most common oral health myths and why, for the most part, they are founded on misinformation or are completely wrong all together. At Salvatore Dental, we want to make sure that all of Malta area neighbors, whether they are patients of ours or not, are as educated as possible when it comes to oral hygiene. 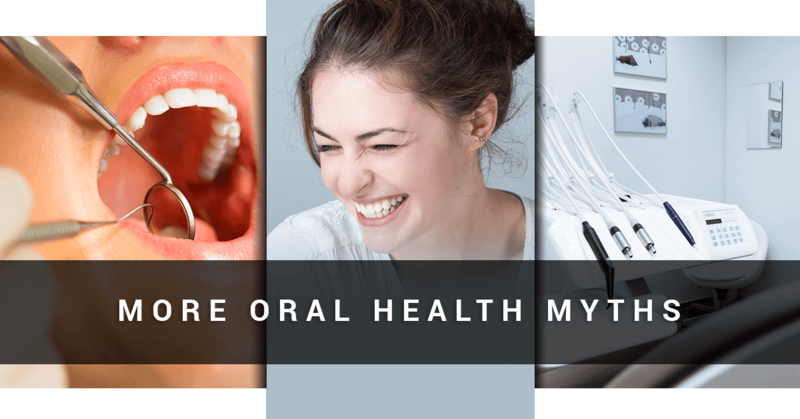 In today’s post, we are going to cover a few more of the most common myths that people believe in relation to their oral health and explain exactly why these myths shouldn’t be believed. If you haven’t read our previous post, we suggest that you go back and do so now, however, if you’d like to jump right in, that is completely fine also. Keep reading to learn more about myths that you shouldn’t believe. Myth 3: If you’re pregnant, don’t worry about bleeding gums. In a report published by the American Dental Association, it was found that some pregnant women experience an oral health condition known as pregnancy gingivitis. Not all women who become pregnant experience this condition, however, it is something that should be treated instead of ignored. Any time a person’s gums start to bleed, action should be taken to make sure that a more serious issue is not lurking below the surface. Bleeding gums can work to increase a person’s risk of infection and, in our opinion, it is never fun to have an abnormal amount of blood in your mouth. 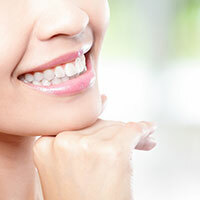 The best way for pregnant women to treat this condition is to stick to a regular brushing and flossing regimen, however, if after doing this your gums are still bleeding we suggest that you visit our dentist office and let one of our dentists take a look to make sure that the bleeding is not a result of something more nefarious. Our dentists will be able to determine whether or not the bleeding is due to pregnancy or if the gingivitis is caused by another issue. This is another one of those myths that sounds perfectly reasonable when viewed in an oral hygiene vacuum. Most people come to the conclusion that if brushing is good for your teeth, then obviously brushing harder will do a better job at removing any plaque or bacteria that may be in the mouth. While a firm hand when brushing is not a bad thing, brushing too hard can be almost as bad as not brushing your teeth at all. 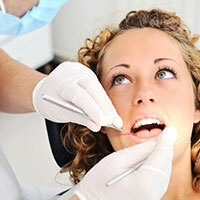 First and foremost, the harder you brush, the more likely you are to cause damage to your gums. If after every time you brush, you notice that your gums are bleeding, consider using a gentler touch or finding a toothbrush with softer bristles. Secondly, and more important, brushing too hard can damage the enamel of your teeth and, in some cases, lead to an increased risk of tooth decay. Join us again next time as we continue to go over some of the most common oral health myths. As always, if you are in need of dental services in the Malta area, please contact us today or visit our website to schedule an appointment. At Salvatore Dental, we strive to provide the best services to our patients and our dentists are dedicated to making sure that all of our patients are as healthy as possible. Contact us today and let us help you achieve your oral health goals and maintain the health of your teeth and gums.